And it’s not just color that the artist represents. It’s the 1960s, Woodstock, freedom and a period of intense expression. 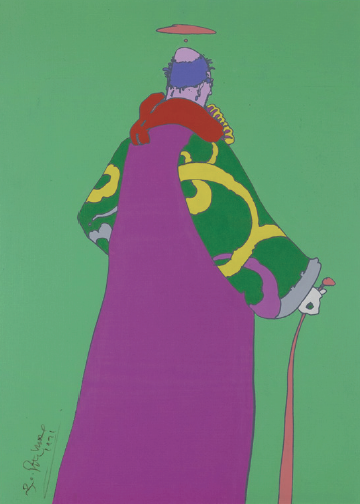 The work of Peter Max was not always so bold. In fact, Max began with sepia. Prominent color came to the fore later, as Max’s work began to embody the era. The exhibit features work never before shown on public display. The canvases are on loan from gallery owner Robert Casterline and restaurateur collector Shelly Fireman.